The streaming service told The Associated Press that it was delaying the release of the film, "Otherhood," but did not specify a new premiere date. 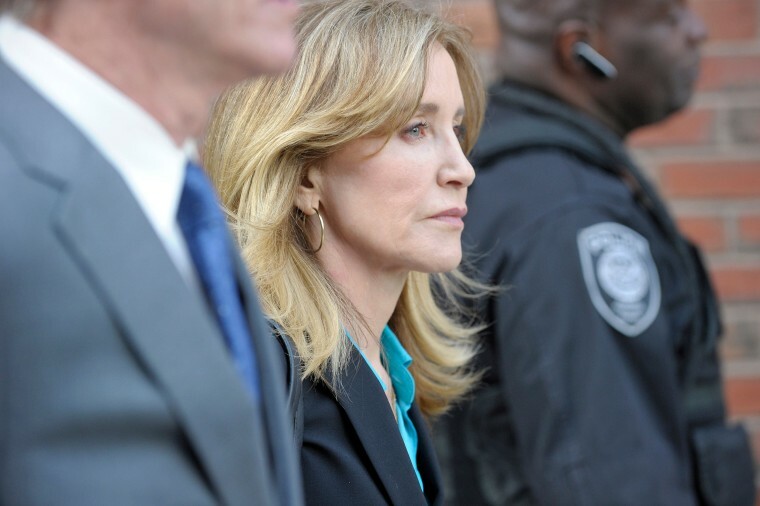 LOS ANGELES - Netflix has removed the Felicity Huffman comedy "Otherhood" from its schedule after the actress agreed to plead guilty for her role in the college admissions bribery scandal. Netflix told the Associated Press that it was delaying the release of the film but did specify a new premiere date. Reps for Netflix have not commented further. "Otherhood," which had been set for release on April 26, was no longer searchable Tuesday on the streaming platform's press site. Huffman co-stars with Patricia Arquette and Angela Bassett in a trio of suburban mothers who show up unannounced at the New York City homes of their sons. "Otherhood" is directed by Cindy Chupack from a screenplay she wrote with Mark Andrus, based on the novel "Whatever Makes You Happy" by William Sutcliffe. The U.S. Attorney's Office announced on Monday that Huffman and a dozen other parents will plead guilty in the college admissions scandal. Huffman was charged with one count of conspiracy to commit mail fraud. According to the criminal complaint, she paid $15,000 to admissions consultant William Singer in order to boost her older daughter's SAT score. The Emmy winner and Oscar nominee was arrested March 12. "I am in full acceptance of my guilt, and with deep regret and shame over what I have done, I accept full responsibility for my actions and will accept the consequences that stem from those actions," Huffman said in a statement Monday. Huffman plays a prosecutor in another Netflix project, Ava DuVernay's Central Park Five miniseries "When They See Us." According to Netflix's press site, that project will premiere May 31.